Arguably the most attractive of the rather curious-looking species of Tongue Orchids, probably due to its attractive pink colouration, Serapias lingua occurs throughout much of Europe in both Atlantic and Mediterranean countries. The plants can grow up to 50cm in height and each stem normally carries around 6 flowers. 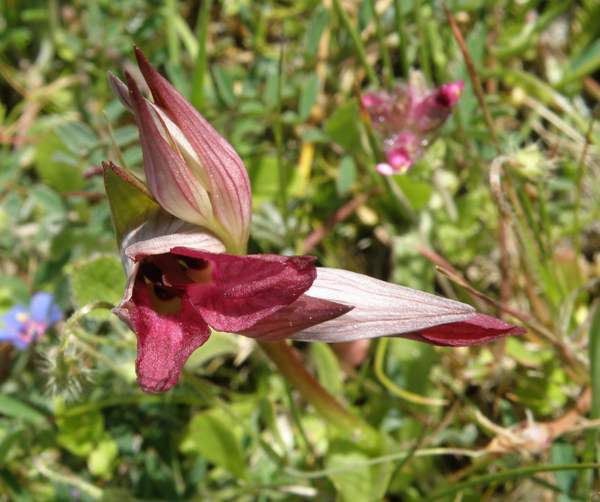 Tongue orchids, often found growing alongside each other, are confusing to identify, but Serapias lingua is characterised by a dark red spot in the 'throat' of the flower which is clearly visible in the photograph below. 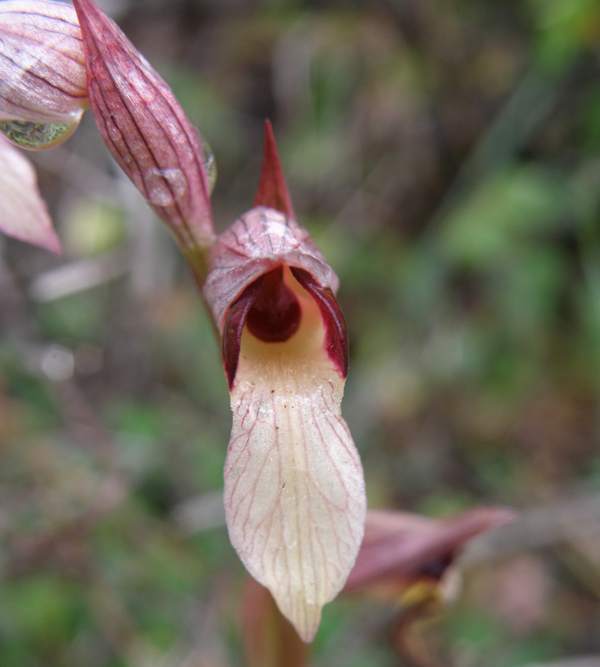 Serapias lingua is found in the southern Atlantic and Mediterranean regions of Europe. Countries include France, Italy, Spain, Portugal and east to the Agean islands and Crete. 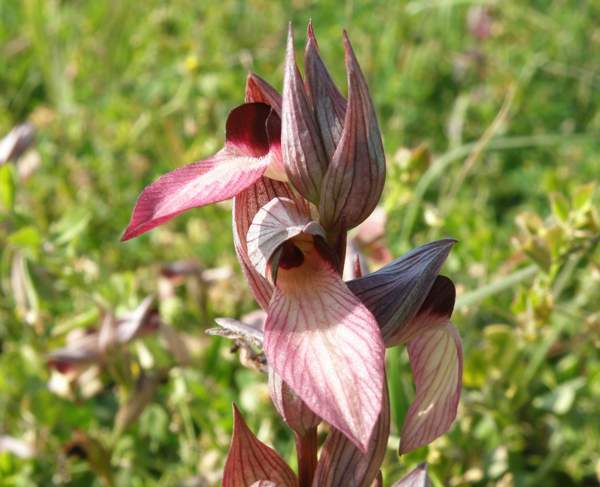 The specimens shown above were photographed in the Gargano Peninsula area of Italy; the specimen shown below was found in the Lot Valley in France. 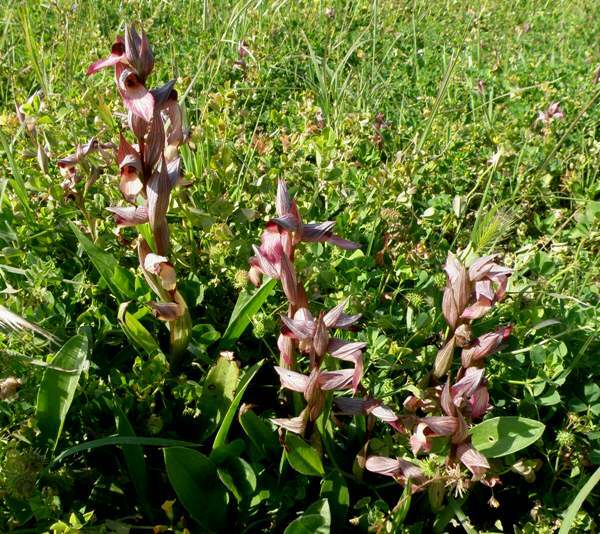 Serapias lingua tolerates a number of habitats and can be found in short alkaline or mildly acidic grassland, the garrigue and scrub. It also occurs in damp, marshy meadows and fields. Occasionally monstrous forms of tongue orchids can appear. The one shown above, found in Crete, had a double lip.